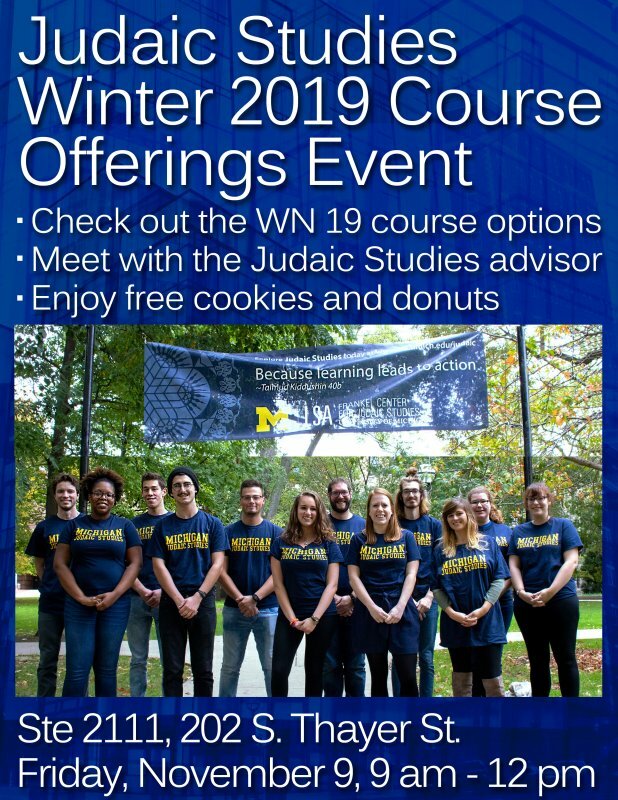 Students can come and check out the Winter 2019 courses available, meet with the Judaic Studies advisor and enjoy free cookies and donuts. 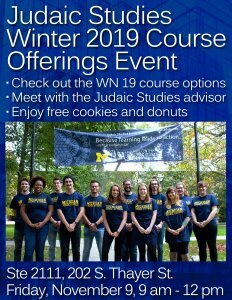 Judaic Studies offers courses and degrees that help you engage in the world and plan for your futures. The diverse course offerings allows for exploration of any aspect of the Jewish experience, from Israel to America, spanning the biblical era to the present. Through our courses students can examine the histories, cultures, and languages of the Jewish people. Students will develop individual responses to complex issues like religious faith, cultural pluralism, ethnic identity, and migration. Judaic Studies students gain vital skills in research and writing, critical and creative thinking, and public and persuasive speaking. The diverse curriculum allows for exploration of any aspect of the Jewish experience, from Israel to America, spanning the biblical era to the present.